Hi friends! This year, we have a wonderfully busy holiday season between my mama coming to visit for Thanksgiving and my brother, sister-in-law and darling niece coming for Christmas! I can hardly wait. In honor of my sister-in-law’s visit, today I am sharing something from the archives. 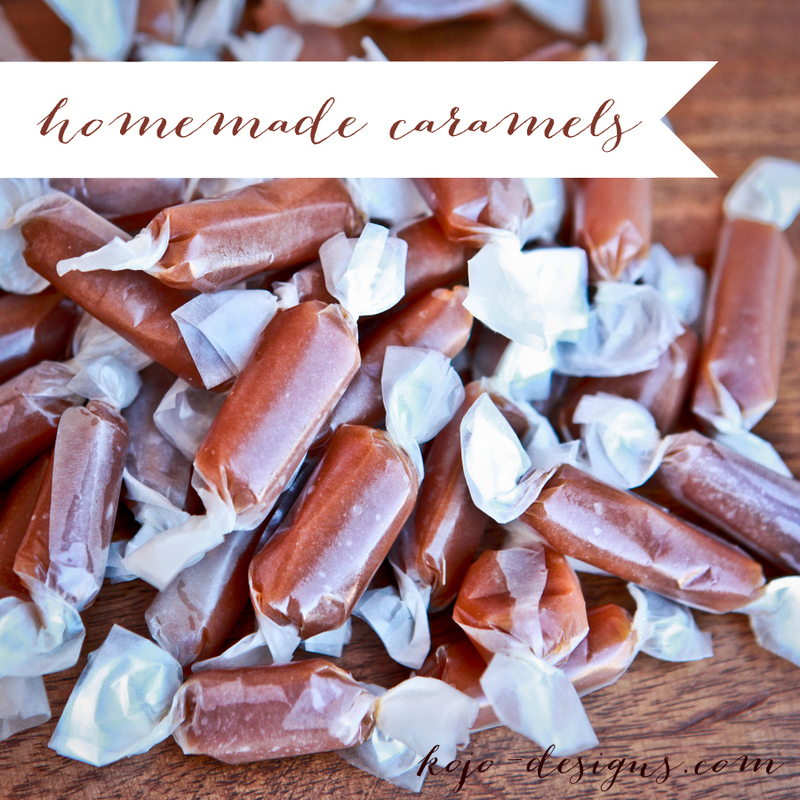 Her homemade caramel recipe! 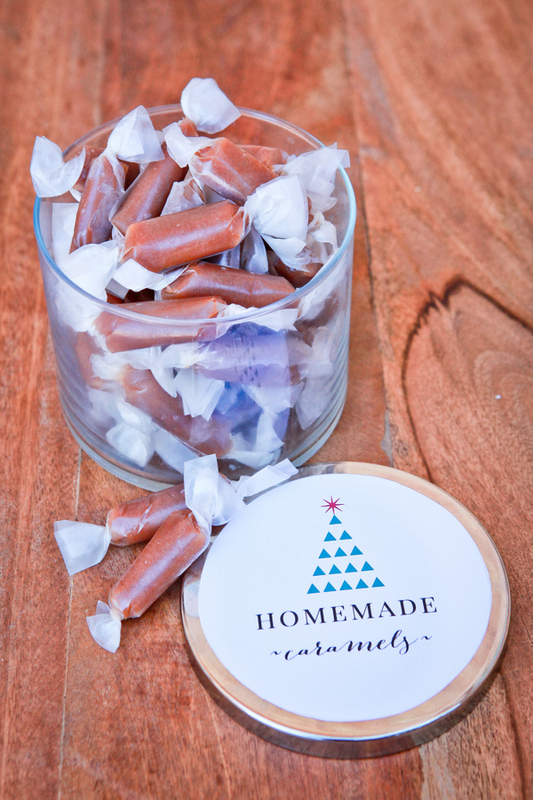 It makes the perfect gift to give and the labor of love is much appreciated by any recipient of these delicious morsels of caramely goodness. I even included the printable I made, so go check it out now! 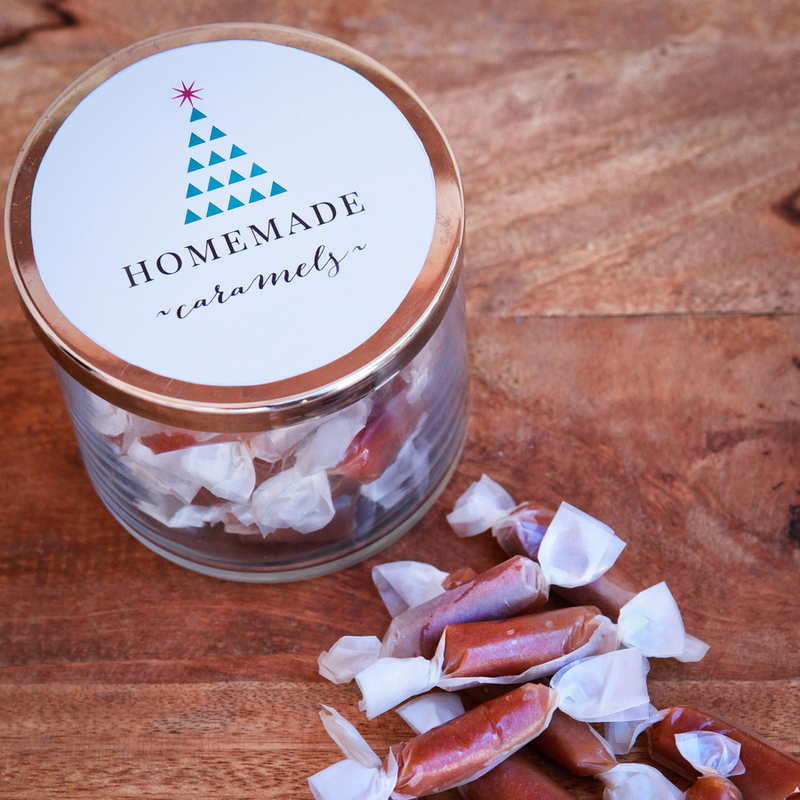 Again, the full recipe for homemade caramels is here. And you get that fun printable label for free!